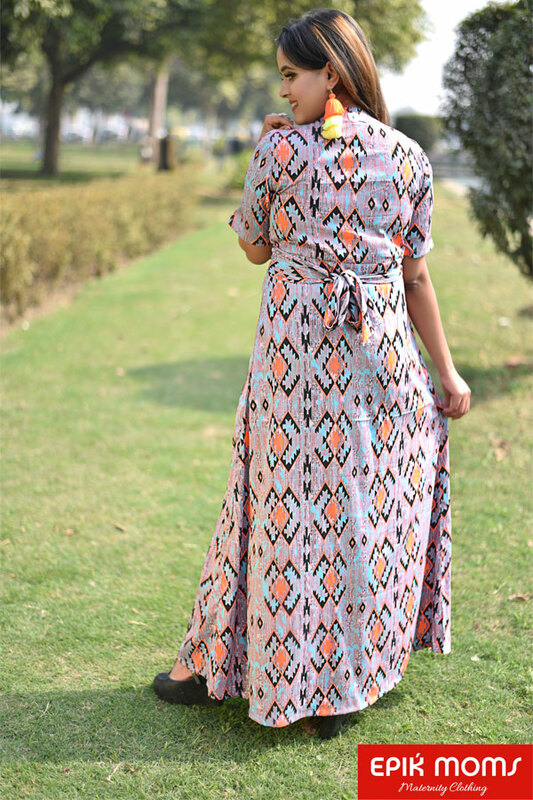 EPIKMOMS wrap dress, an enchanting option for all seasons. This maternity dress is must have for all the elegant MOMs-to-be, which is made in lightweight skin friendly fabric. 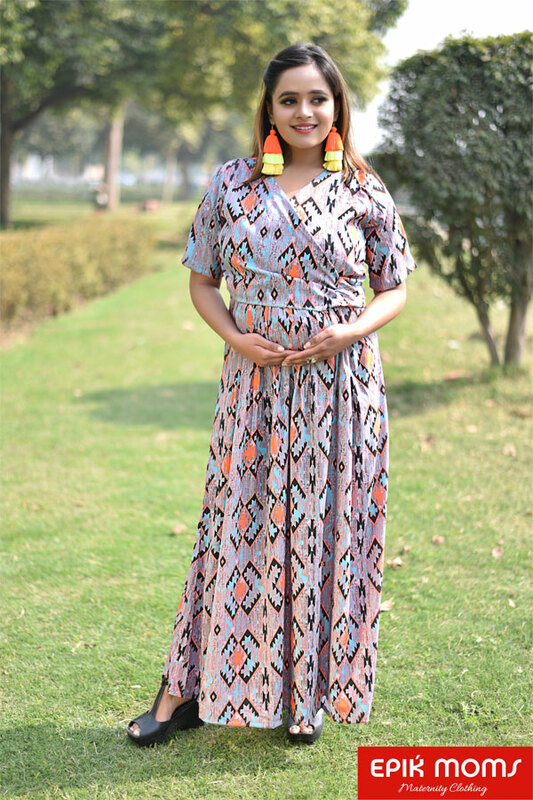 A dress that is suitable for all celebrations/parties and gives all comfort and highlighting your baby bump. This wrap dress is fashioned in a manner to offer easy movements. Dress offers a comfortable nursing feature for feeding your lovable, to be born baby post Delivery. A Must collection for MOMs-to-be ! !